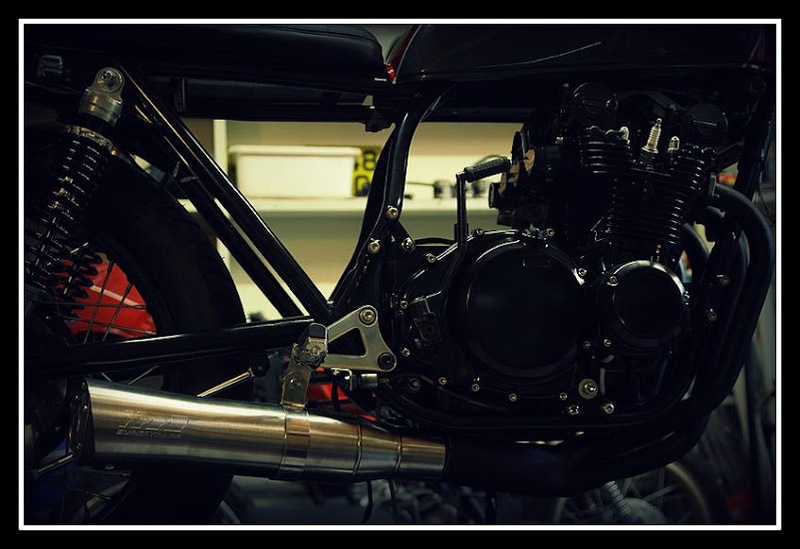 GS550 Special - Project Stray Dog - Finished. So, here goes. Down here in Middle Earth (New Zealand) there is not the choice that some of you guys get, being a population of only 4 million. 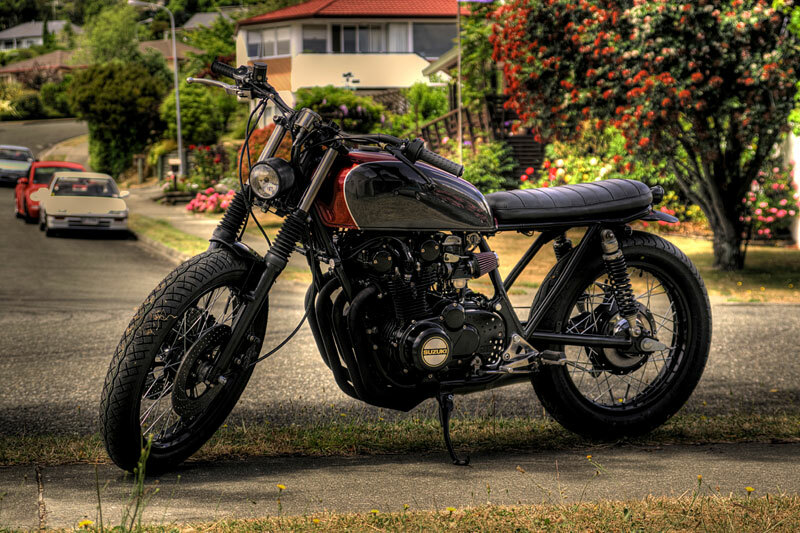 So I was looking for an XS650 to start with, but prices were getting silly, even for dog rough ones and not a lot of choice, so a quick look on Craigslist found a beaut in NH that I could get a friend to ship for me, but it would take weeks, possibly months to get here. I couldn't wait, I needed a project now!, so a look on our very own NZ Trademe site found this sad looking GS550, a deal was struck over the phone (as it was a 5 hour drive away) and went and picked it up, then realising I had paid probably twice as much as what it was worth, ho hum, nevermind. 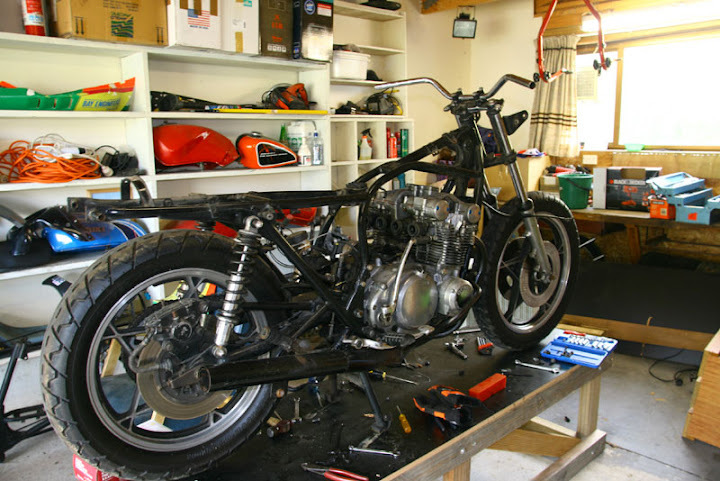 The plan was to get it going, tidy it up a bit and make it look nice, hack all the junk off it, new seat, paint etc etc, you know how it goes, right? Set my budget, off I went. Well, next day it was pretty much dismantled, I could feel the budget slipping from my grasp already. Then I thought, oh what the hell, just do what you want to it and don't get the calculator out to see what I have wasted, sorry, spent on it. So now the gloves are off, no more Mr Nice Guy, etc, its gonna be what its gonna be and now the project is on! 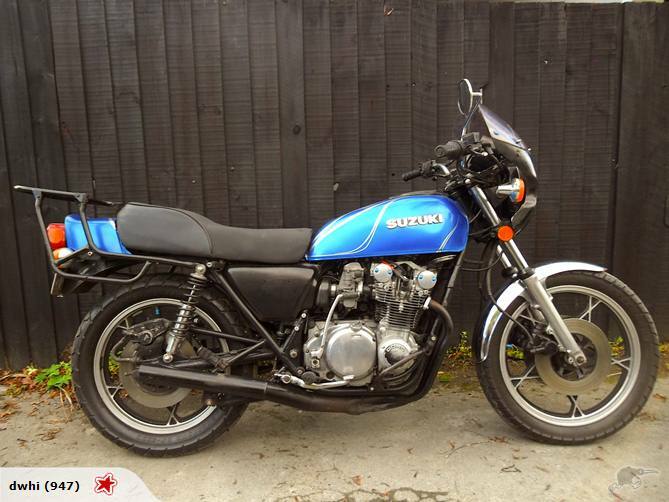 Here she is as bought, a 1978 GS550 B or C not quite sure. 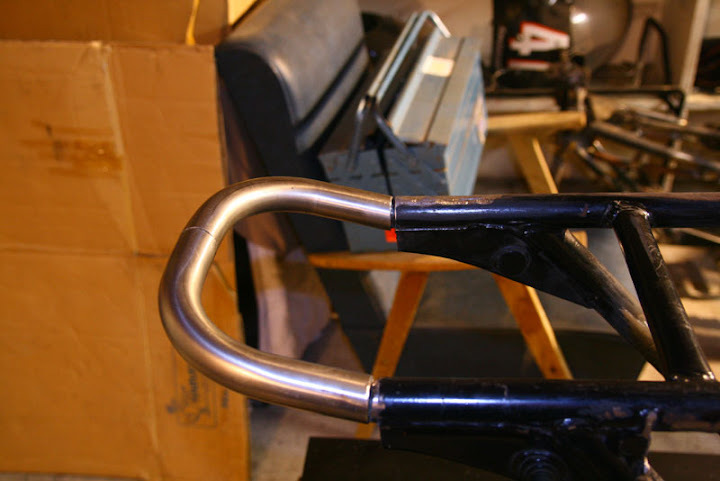 Hacked of the rear rails, added a loop, that I had to make it two pieces, (long story) kicked the loop up a bit, cut off the lower frame brackets either side. 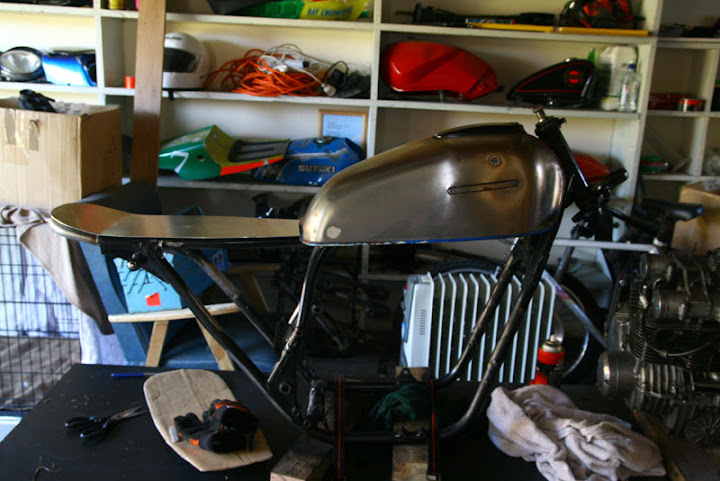 Aluminium seat base, stripped paint off tank, full of filler, so the raw steel look is out the window! 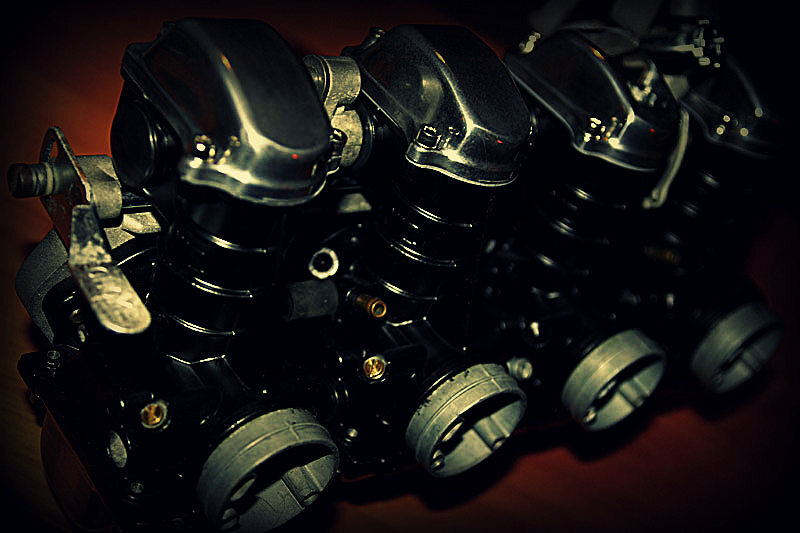 GSX-R1100 rear sets, modified. 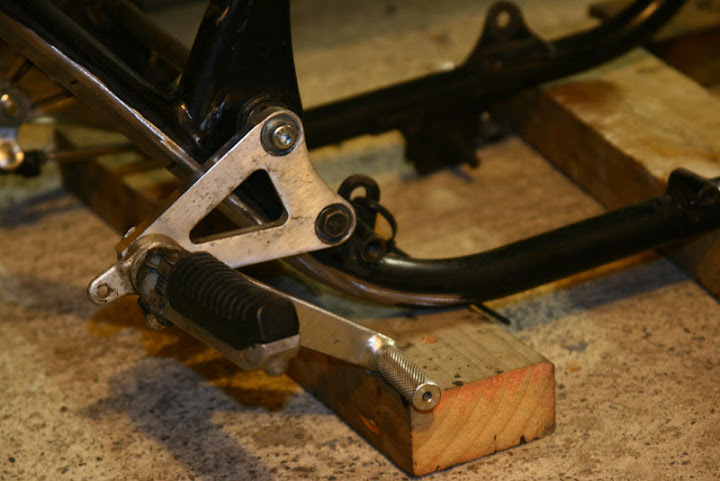 mounted off the one of the original footpeg mounts and the other off the swingarm pivots, perfect fit and position for riding. Engine being rebuilts, well top end anyway, pistons, rings, pins, clips, valves seals, gaskets etc etc. Ashley from Boulevard Suzuki has been a great help with the parts and shipping as the price here in NZ is horrendous! 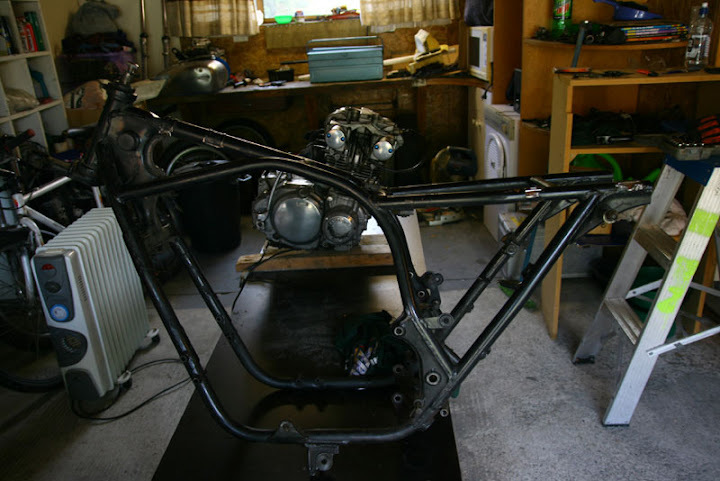 So here she is as of this weekend, seat ready for covering, frame 99% done, engine awaiting valve grind, been soda blasted and ready for paint. This stray dog is definately budget blown! Any input, ideas, criticisms welcome, its my first build, can ya tell hahaha! 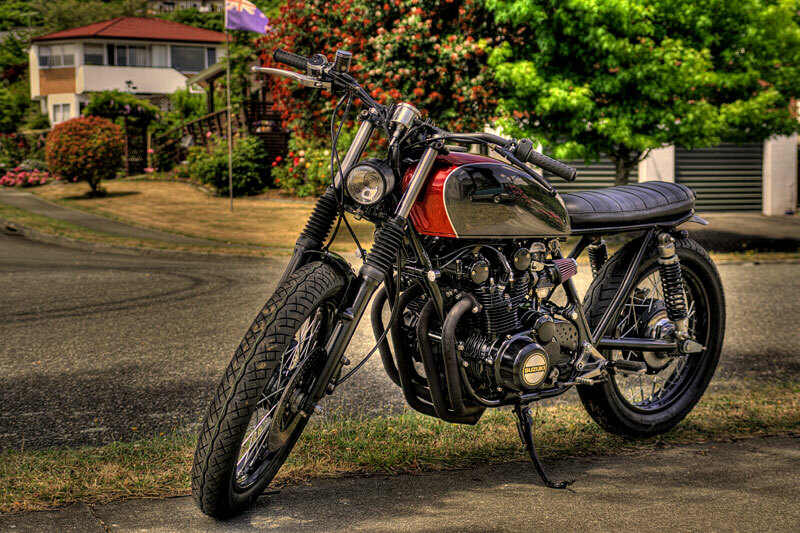 Re: GS550 Special - Project Stray Dog. Following this one. 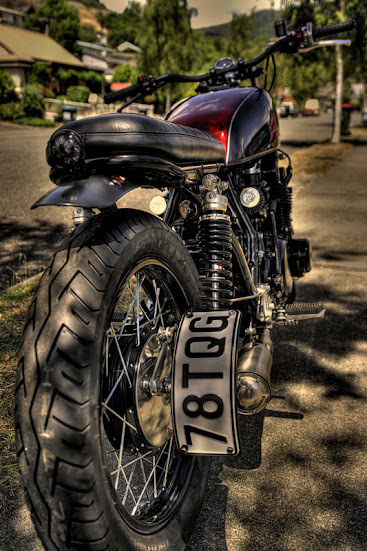 Can you show me the mount for the other side of your rearsets? Sure, what I did was drill the rearset plate 14mm (I think) to take the swingarm pivot and the retaining nut sits nicely in the counterbore. The other mount was where I had ground off the original gear linkage flush, then drilled and tapped M8, was a little tricky to get it square-ish. If you see what I mean. You'll need to space it a couple of mm too after its drilled so it sits flat. Have decided to go with more modern front brakes, SV650 calipers, have made up the mounting plates, made one from thin ally plate then machined the real ones from thicker plate milled down, still need a bit modification, but nearly there. Here's the real plates, with slight mods needed. Here is the seat, cut from high density foam, sanded smooth with an old grinding wheel on the angle grinder, then with thin foam stretched and glued over, gonna laminate 2 pieces of 4 or 5mm ply so that I can copy the kick in the tail, then get it covered. Today I ordered an engine bolt kit and a Dyna S Ignition from Z1 Enterprises, on that note, does anyone know if I can use this with the standard coils, or do I need "special" ones? Did you make any progress? Hey! Its been 3 days! Stop leavin us hangin! Wow, you guys are eager!! Ok, its been a long time since I last posted, been real busy, honest! Its been a bit of an evolving project, I didn't really have a plan that was set in stone as to what look I wanted, I just knew it had to be simple, uncluttered and sleek. I got the engine painted black, I did toy with the idea of the barrels being silver and possibly the rocker cover, but in the end, it all went black, as did pretty much everything apart ftom the tank. The various parts were powdercoated, including the wheels which were originally chrome, and added some nice new spokes, laced and trued them up (first time for me, that was a challenge!) Here's a few pics of all this. Truing the wheels - patience required!!!! Wheels and frame ready for the motor! Front discs drilled on CNC machining center. Numberplate bracket - home fabbed. 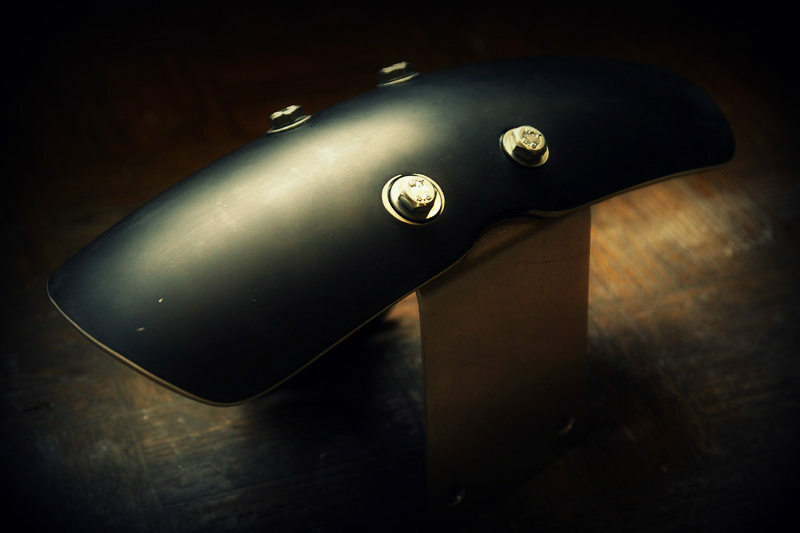 I was given a Bonneville plastic mudguard, which, cut down served as both front and rear guards. My mate came and wired everything pretty much from scratch using most of the origianl loom, thanks Paul, a bloody hero!!!! Its close to finished, a few things to do, have put chain and sprockets on now, just a few adjustments with carbs, some small part painting, and a different seat as the one I have didn't turn out as I wanted it, looks amazing but not the style I want, I am going for a quilted look and a higher side seam. 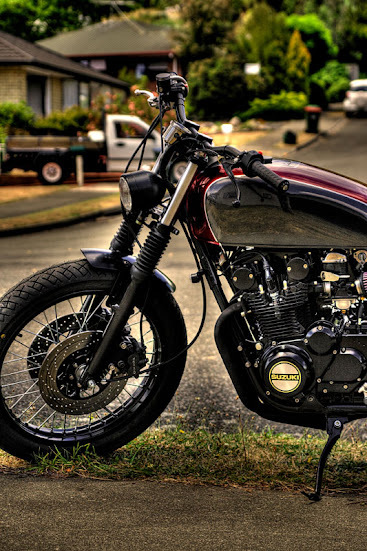 This one would suit a Brat bike. Shame about the reflection in the tank, ha ha! I have included a coiple of HDR shots too, will post the fianl pics as soon as I am happy that she is finished Oh, and I may change the headlight as I think a larger one would bring it all more in proportion.